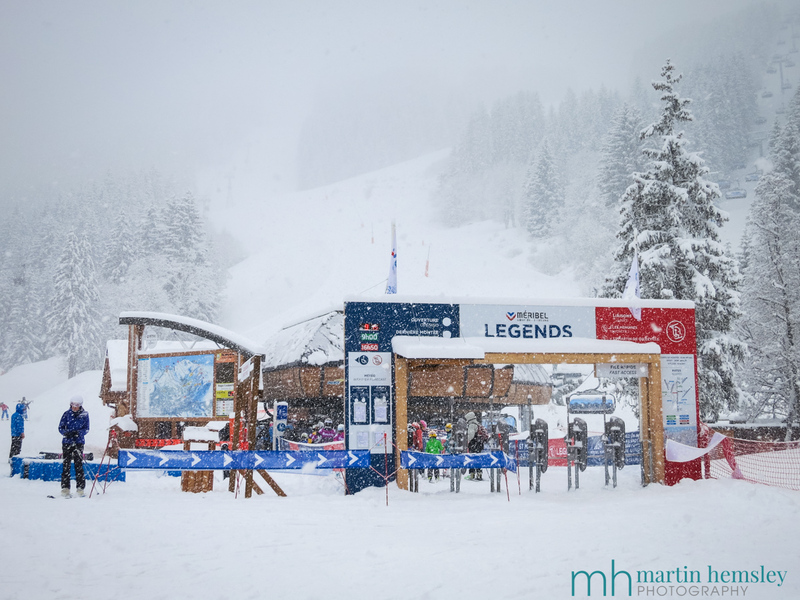 Hi everybody and welcome to a long overdue blog post from your favourite blogging Méribel ski instructor. 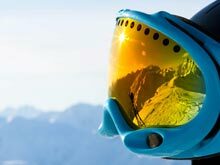 With the season soon coming to an end, I'd thought that I'd write another article, because skiing in Spring can be interesting . 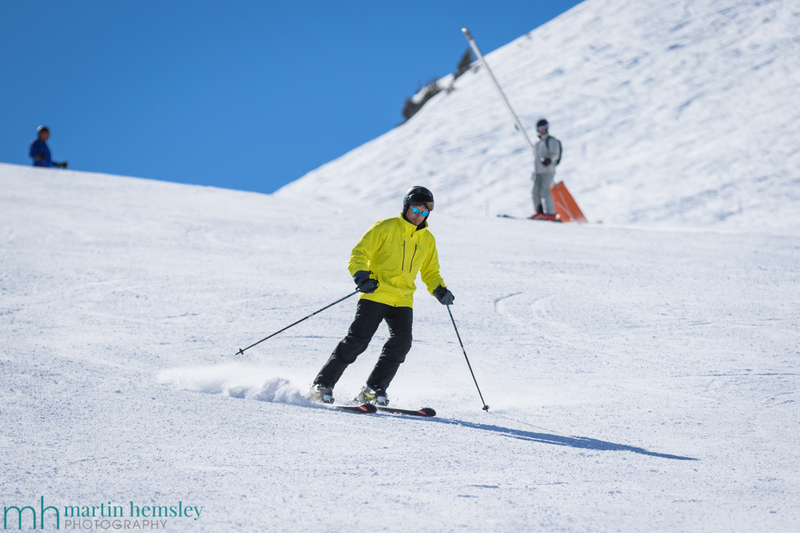 Skiing in warm sunshine is fantastic, however the 'freeze-thaw' cycle means that pistes can be icy first thing in the morning and gradually soften to slush in the afternoon depending on the altitude and aspect of the pistes you are skiing on. Sunny Spring days certainly remind you that summer is on its way. However, the weather can give you a sharp poke in the eye occasionally and return back to winter with colder temps and snowfalls. 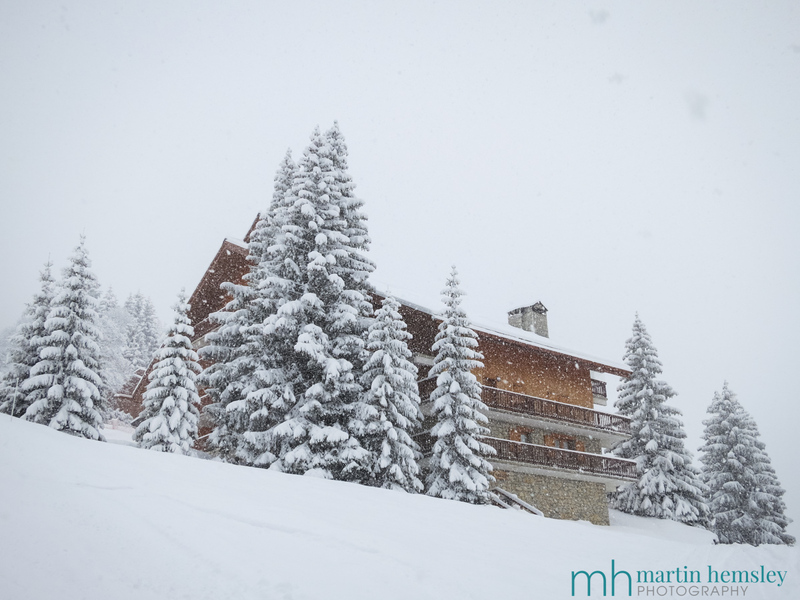 In reality this means that the snow conditions can vary on a daily basis. I've taken all of these photos in the last two weeks or so by the way, thanks to those that have given me permission to be featured on my social media and blog posts. 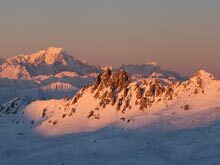 Skiing on firmer snow, especially in the morning, doesn't require us to do anything differently technically. Sound technique will help us as normal, this is because our skis are on a good base of support, or to put it another way they stay on top of the snow. However, because of the harsh noise that the skis make on the frozen slush, and the feeling of less grip - our psychological state might be affected. If this happens, our brain can subconsciously tell us to do the wrong things on our skis because we might be leaving our comfort zone. See my previous blog post about a similar subject, click here for the link. Some examples could be leaning back, leaning up the slope at the end of the turn, or even rushing the turns. More experienced skiers may recognise these issues. Enough of a challenge in themselves, however certainly not impossible to avoid or find a strategy to cope with. Let's quickly go back to the question I asked in the blog post title - How is skiing in slush related to skiing in (moderate) powder snow? When the snow softens due to higher temperatures and/or exposure to the stronger sunshine, our skis lose that all important base of support, or again to put it another way they sink in the snow instead of staying on top. Because our skis have lost this base they can't grip or scrape with a controlled skiddy turn. It is harder to turn (steer) our skis due to the extra resistance of the snow. This makes it more challenging to keep our balance, and to control our line that we want to take. Guess what? These extra challenges are immediately recognised by our brain, which then tells us again to do the wrong things on our skis, see the previous paragraph for the list of such examples. This time add in another - our brain might tell us to use our upper body to try and hoik around our skis in the turn. Adrian skiing in some softening snow. Gosh, that's potentially quite a long list to think about, so how can you help yourself in these conditions? Firstly, check what skis you are skiing on. Do they have a reasonable width under your ski boot? I would recommend a width of at least 80mm, this will help your skis float a little bit more than skis that are narrower. Technically, use your feet to steer your skis, ie make the turn. It is your feet that act as the steering wheel of your skis, and it is your feet that are directly attached to your skis. Try to be disciplined with your balance. 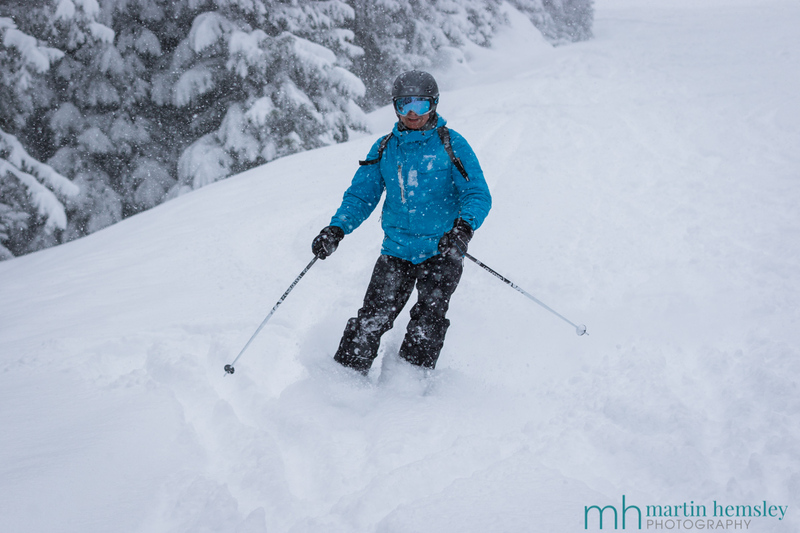 Don't forget that there is extra resistance with the softer snow so you can afford to go more direct down the slope. 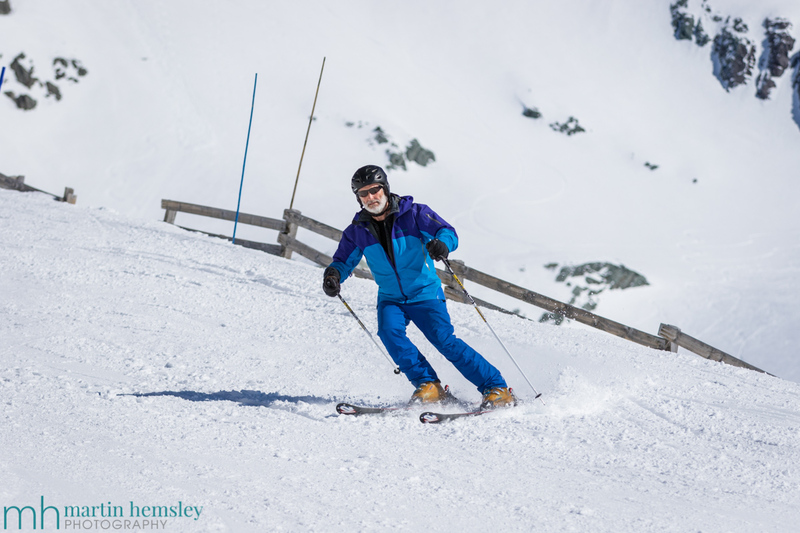 If the piste is flat enough, instead of steering with your feet, tilt your skis sideways so that you are carving and using the shape of the skis to change your direction. This takes courage, but is well worth a go. 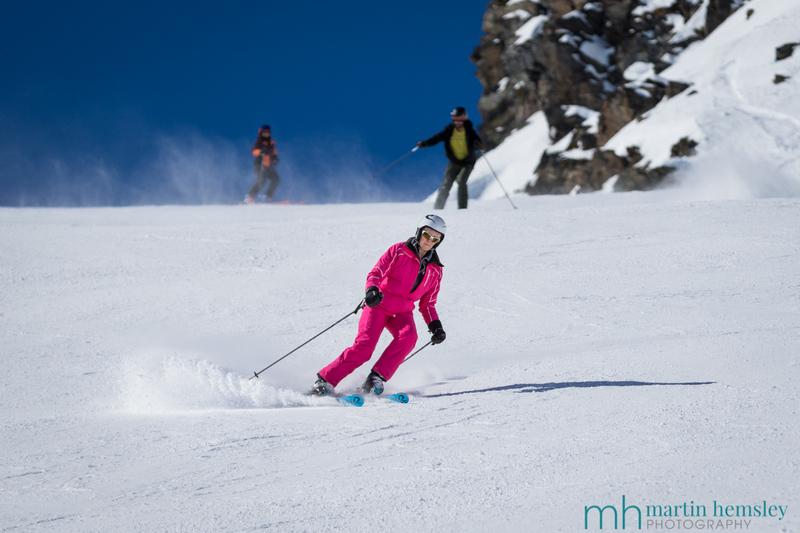 Ideally have a trained eye (a qualified ski instructor) observe your skiing, and work out how best to make a plan to help improve your performance and enjoyment. Jane loving some dry grippy north facing snow in the morning, before it might soften later in the day. So what happens when the weather changes and we receive up to 30 cms of fresh snow? Our skis lose that all important firm base of support, or again to put it another way they sink in the snow instead of staying on top. Because our skis have lost this base compared to a firm piste they can't grip as much or scrape with a controlled skiddy turn. It is harder to turn (steer) our skis due to the extra resitance of the snow. This makes it more challenging to keep our balance, and to control our line that we want to take. Guess what? These extra challenges are immediately recognised by our brain, which then tells us again to do the wrong things on our skis, see the previous paragraph for the list of such examples. This time add in another - our brain might tell us to use our upper body to try and hoik around our skis in the turn. Hang on a minute, I could've copied and pasted this paragraph from when I was talking about skiing in the slush. In fact I did! Not only because I'm lazy, but also because it's all true. The list of how we might (incorrectly) compensate is still exactly the same, the good news is that the coping strategies are also the same! I really want to point out one major thing here - it can be rare that you as recreational skiers get to experience these conditions. Many of us dream of fresh powder, many skiers fear it. I believe this is for a couple of reasons, firstly because it can be an unusual experience to have these conditions so they think that they don't know what to do. Secondly, when your skis disappear out of sight under the powder snow, psychologically skiers feel insecure. 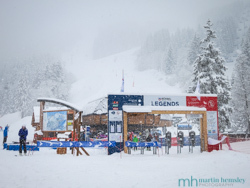 The good news is that if the fresh snow is no deeper than 30 cms, and you can feel support under your skis then all is good. You don't have to do anything different technically. How cool is that? Yes, there will be resistance with the powder snow. But the way that you balance and turn your skis should be exactly the same if you have good technique on a groomed piste. As soon as you can trust yourself with your technique, and forget about the fact that you can't see your skis and boots, life on skis suddenly becomes incredible. Most people that I ski with when confronted with these conditions, will ask what they need to do differently. You don't need to do anything differently (as long as you have good technique already). Nothing. Rien. Zilch. When people realise this, then wow........ Last week I skied with Laura and Keith, see above and below. Oh my goodness - you should've seen their smiles and heard their laughter when they realised that these conditions were skiable. Utterly priceless for them, and totally selfish for me to see them enjoying what Mother Nature can provide us with. 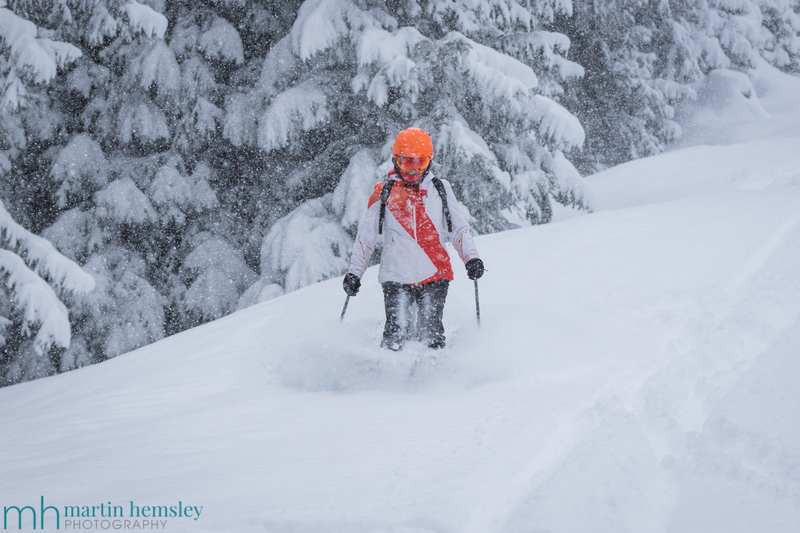 Without stating the obvious, skiing in fresh powder snow is so much more fun than slush. Technically we need similar skills, as hinted in the blog post. Psychologically there are also links. It could be said that I've simplified technical descriptions in this post, and this is without a doubt the way that I prefer to teach on the mountain with clients. Yes, one could really get into all sorts of intricacies of technical excellence and feedback. However why have paralysis by analysis? I'm sure many of you have heard of this acronym - KISS, Keep It Simple (or Short) Stupid. Don't forget that the most important reason to ski is that you enjoy the skiing itself, and the most important reason to improve is that you'll enjoy it more. And if you're happy when you ski, you must be doing something right. Out of nowhere, there are only two weeks left of this 2018/19 ski season here in Méribel. Snow conditions are still great, and I can't wait to make the most of the rest of this winter. Do come back soon to see how it ends, and if I follow my normal habit of popping into the Vanoise National Park to photograph wildlife, I will probably publish some photos of my friends known as Bouquetins (Ibex). Oh, and I've just been asked to provide the last couple of snow reports of the winter on the www.merinet.com website.